What a gorgeous evening yesterday was. Sunny, mild and, best of all, the first time this year I've been able to get back from work and still have enough daylight remaining to head out for a walk. 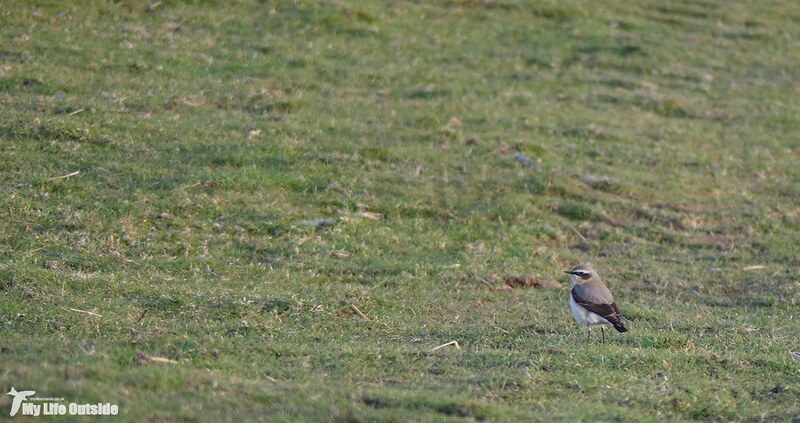 I can't explain how wonderful that simple act felt and boy were my efforts rewarded when up popped a pair of Wheatears on Bryn-bach-Common. 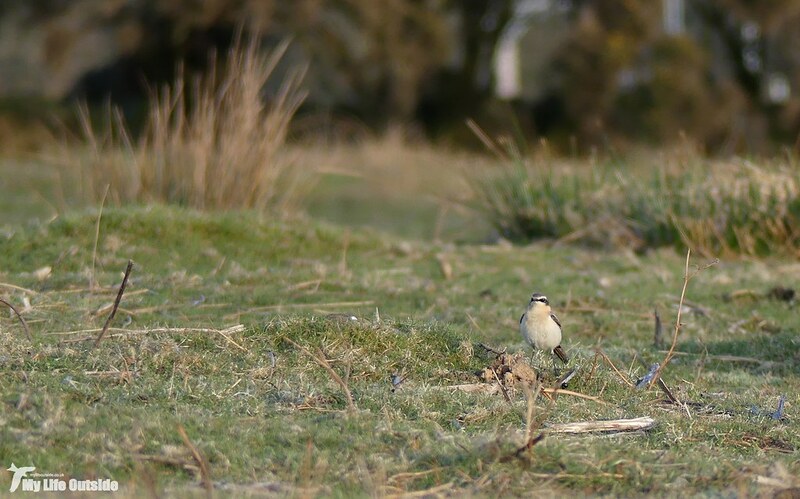 Not only were these my first Wheatears of the year but they were also my first spring migrants full stop. And where better to record such a momentous occasion than on my own local patch, an encounter which I'm not ashamed to admit had me rather excited to the extent that whoops of joy may have been uttered. Of the two it was the male which proved most approachable but even then, as you can probably tell from the shots above, he was never exactly what you'd call close. Add to that failing light and I had my work cut out to get anything decent on camera but as always with moments like this, it's more about capturing a memory than anything else. 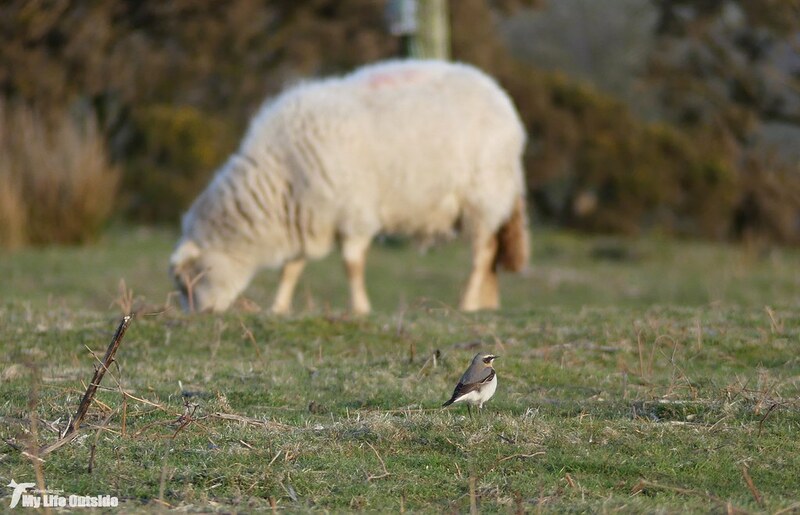 There was plenty more to be seen as well including a couple of Green Woodpeckers, singing Skylarks, rattling Mistle Thrushes and even a male Reed Bunting. Overhead the nightly movement of Canada Geese saw several birds heading west to roost sites unknown before a familiar but hard to place call reached my ears. 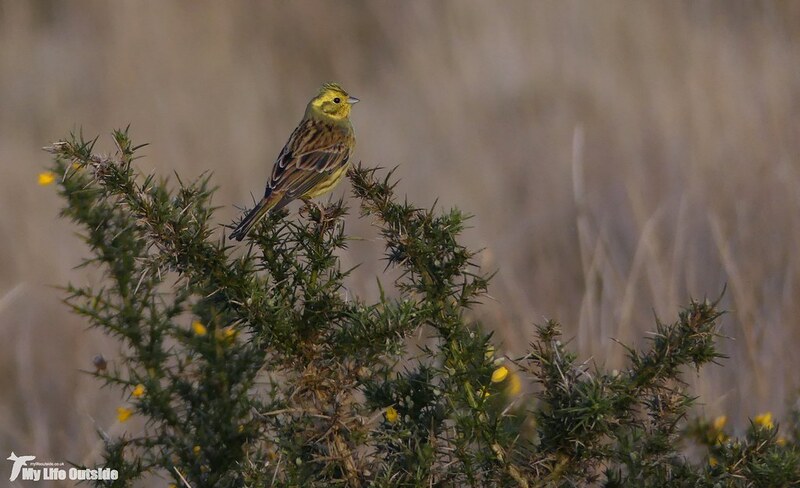 Scanning a distant patch of Gorse I soon found the culprit, one of two Yellowhammers in the vicinity which treated me to a brief snippet of song before returning to their less elaborate call. It's been a good long while since I've seen any Yellowhammers up on the common and with these two seemingly a pair perhaps we may be in for a successful breeding season. Walking home with the sun now well and truly setting I enjoyed the briefest of views as a Sparrowhawk shot across my path and disappeared amongst the trees. Moments later a Blackbird darted back in the opposite direction, a series of what I can only presume were expletives emanating from its beak. Had I just come face to face with death then I'd probably have felt the same way. 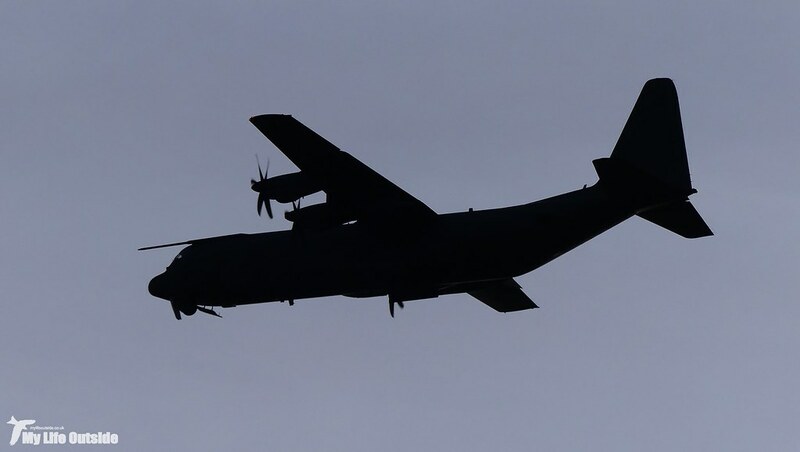 An apt sentiment perhaps considering a pair of C-130 Hercules passed over shortly after, an endangered species in its own right as the fleet is gradually replaced by the more modern Airbus A400M. As the drone of their engines slowly died away I was left once more to enjoy the sounds and smells of a countryside fully awakened from its winter slumber. Birdsong abounded, fresh shoots and leaves are starting to appear and it can't be long now before Willow Warblers, Chiffchaffs and hirundines return in force to kick start spring proper.